Check your Passport–it must be valid for 6 months from your date of travel! 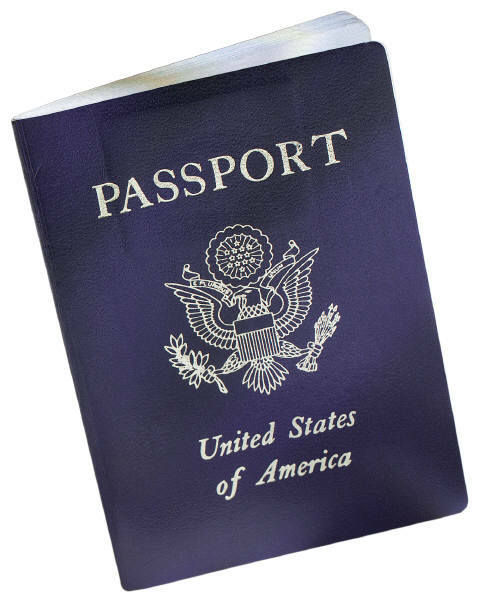 Passport Validity Rule: What Is the Passport 6 Month Validity Rule? There are a variety of different countries that you’ll have the opportunity to travel to that will require a passport that has an expiration date that is no less than six months from the date a person has decided to travel. For instance, before even leaving the gate, when traveling to another country, your passport will be checked to make sure that your expiration date is at least six months later than your current date of travel. If your expiration date falls anywhere within six months, you can be refused boarding. This will be an unexpected inconvenience for many individuals that have performed a great deal of planning, but neglected this one important area. Which Countries Will Enforce This Rule? Now, before moving forward with the different countries that enforce this rule, it’ll be important to understand how this rule is actually enforced. Some countries will enforce the passport 6 month validity rule from the date you enter the country, while other countries will enforce the rule from the date of departure. Countries like Malaysia, Brazil, Indonesia, and Israel will utilize this rule from the date a person enters the country. Countries like Ecuador, Paraguay, Romania, and some countries in Africa will use the six-month rule from the date of departure. So, if the country you’re traveling to is not on this list, it’ll be important for you to check with that country and find out what their rules and regulations are when it comes to the passport 6 month validity rule. How to Make Sure you’re covered: In order to make sure you’re covered, it’s always important for you to update your passport whenever possible. In addition, before you plan to travel to another country, it’ll be important to check your passport and find out what the expiration date is. If you do not perform this procedure, you could be turned away at the gate before leaving on that important vacation or business trip. Most seasoned travelers will not have this problem because they may have faced this issue a time or two. However, for those that haven’t, it’ll be important for you to make sure that your passport is up to date and has an expiration date that extends further than the date you plan to leave the country. IMPORTANT: This information is for your assistance only. Please check with your local consulate for exact requirements for your specific travel plans. Viceroy Anguilla Resort is Perfect for your next Luxury Vacation AND get your 5th Night FREE! Viceroy Anguilla Resort & Residences represents the pinnacle of opulent resort living on Anguilla. Situated on 35 verdant acres, with over 3,200 feet of beachfront along both Barnes Bay and Meads Bay, this exclusive haven is home to brilliantly designed accommodations, an 8,000 square-foot ocean front spa, a bluff-top Sunset Lounge and a variety of restaurants ensuring guests a delightful culinary journey. With unparalleled personalized service and panoramic views, it is time to plan this Ultimate Caribbean Escape! Rates are based on double occupancy per room and subject to availability. Rates are based on travel now - 10/31/12. ID Exclusive is valid on 5-night minimum bookings in all categories, except One, Two and Three Bedroom Ocean Front Villas. Resort credit is valid per room or villa, per stay and cannot be applied towards room rates or retail purchases. Subject to tax and service charges plus $1 Government levy per adult, per night.